Our director Anke Schiemann participated in a podium discussion about crowdfunding, part of “future talks” also broadcasted on “Info Radio”, in the German Film and Television Museum at Potsdamer Platz. 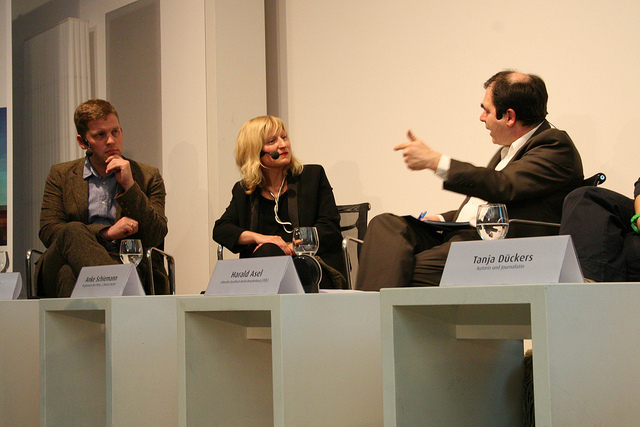 Other guests were Barbara Fischer (Wikimedia), Karsten Wenzlaff (founder of the Institute for Communication in Social Media),Tanja Dückers (Journalist and Writer) and Sebastion Esser (Crowdreporter.de). The discussion was lead by Harald Asel (Info radio RBB). Click on the link below and find out more more about the heated debate, if crowdfunding can be a reliable financing tool in the creative world.